In the Bay Area, April through October is kitten season. 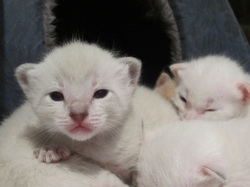 During these months, hundreds of kittens are born and end up at our area shelters. These tiny creatures are the population most likely to be euthanized at shelters because they are too young and require resources that most shelters don't have. The way to save the lives of these kittens is to place them in homes temporarily where they can grow old enough to be adopted. San Jose Animal Advocates is launching a campaign in the community to recruit temporary homes for at-risk kittens. With the support of Humane Society Silicon Valley and their Special Needs Department, we are reaching out to libraries, neighborhood groups and using social media to get the word out that San Jose kittens need our help. Provide daily care, feeding and any necessary medications as prescribed by staff veterinarian (food is provided by the shelter). Provide transportation to and from the shelter for medical appointments. 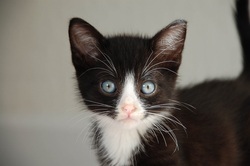 Be Committed: These cats/kittens will be in your care until they are ready to be placed for adoption. You could have your foster(s) for a few weeks or several months. Once your application has been submitted you will be contacted by HSSV to attend an orientation session where all of your questions will be answered. After that, you will get a call to pick up your kittens! Other ways to help, donate! Above items can be dropped off at Humane Society Silicon Valley at 901 Ames Avenue, Milpitas, CA. Tell them it is for the Save a Kitten 2012 project!